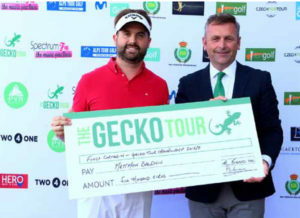 The Gecko Tour has for the last six years strived to provide a platform from which young golfers can forge their way in the uncompromising and tough world of professional golf. So when we met with Golfing4Life, it was like a breath of fresh air and a kindred spirit that shared our ethos and desire to help those that needed it most. We have a minimum of 18 events each winter that attract young professionals and elite amateurs from all over the globe to compete on La Costa del Sol’s finest golf courses. It is our pleasure to announce that any member of The Golfing4Life family is a member of The Gecko Tour for our season 2017/8.